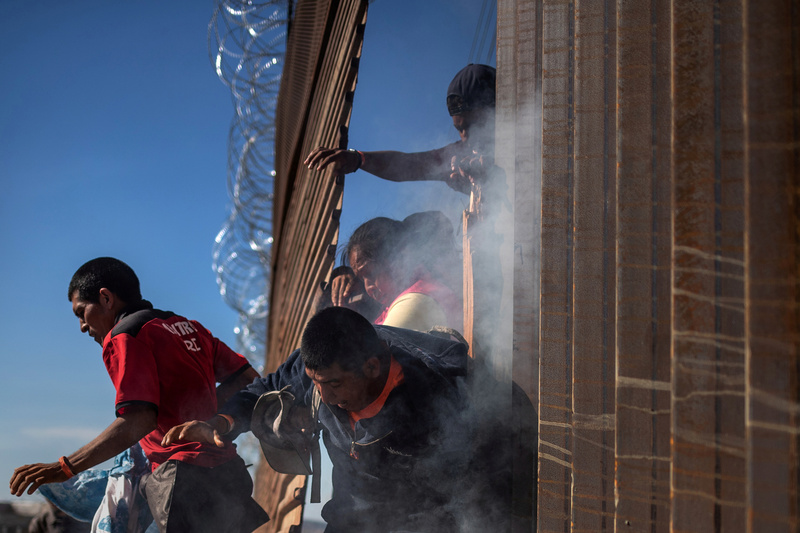 As Congress continues to feud over the construction of a border wall, another Central American caravan of 10,000-plus migrants entered Mexico and intends to reach the U.S. The caravan, which first departed Honduras on Jan. 15, began as a smaller group of around 2,000 people, WaPo reported. However, the caravan ballooned in size as it continued to travel across Central America. Numerous foreign nationals from Guatemala and El Salvador, eager over the possibility to apply for humanitarian visas in Mexico, joined along the way. “A big new Caravan is heading up to our Southern Border from Honduras. Tell Nancy and Chuck that a drone flying around will not stop them. Only a Wall will work,” the president tweeted Jan. 15. Many of the migrants are attracted by a new policy recently enacted by Mexican President Andrés Manuel López Obrador. The new left-wing president, who has criticized Mexico’s past treatment of migrants, is allowing many of them to apply for humanitarian visas, allowing them to stay in the country legally as they try to gain access into the U.S.
Mexico’s National Immigration Institute reported it had processed a total of 10,343 migrants. About 75 percent were from Honduras, with the rest coming from El Salvador, Guatemala, and a small number of Haitians, Nicaraguans, Cubans and Brazilians. The looming caravan, which further highlights the issue of immigration, comes as lawmakers in Congress continue to fight over border security. A bill that would have provided $5.7 billion in funding for a border wall failed a Senate floor vote Thursday — as did a Democratic-backed bill that excluded wall funding. The budget impasse resulted in the longest partial government shutdown in U.S. history.